Find out about what PROGS is, and who it has helped. This scheme has been running for just over a year now and has made donations to many worthy causes locally. The local Boy Scouts group are enjoying a nice cup of tea having received some funds from the scheme to update their kitchen facilities. Sarah Hiscock, is another of the recent beneficiaries of our PRoGS scheme. A resident of Little Comberton, this 1st year student of Anthropology at Exeter University was inspired to join a programme organised by African Playgrounds to go to Uganda for a six-week working visit. To do this she had to raise her own funds, which is where PRoGS came in with some support. Her trip last year to a village south of Kampala involved helping in the construction of a playground from a bare patch of land. Each playground is designed individually by African Playgrounds for the specific needs of each village community. In our modern world we are aware of the benefits of play for both the physical mental and social development of children and this scheme provides a relatively cost-effective way of making a significant difference to the lives of children across Africa. 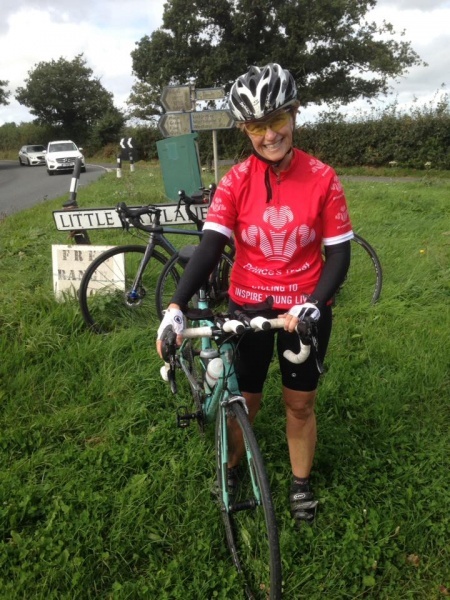 Julie Cross from Fladbury decided to celebrate 10 years of voluntary work for The Prince’s Trust by cycling from Land’s End to John o Groats. The PRoGS donation was a little help for her in raising £3000 for the charity. 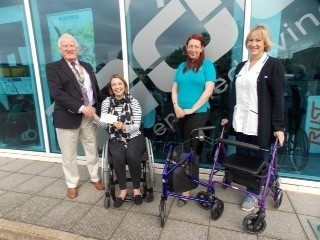 To assist local people with mobility problems the programme has provided two mobility walkers to the Domiciliary Physiotherapy Department for Evesham and Pershore. These will be given out by staff to needy people in our community. Ben Andrews the coach of Pershore Junior Rugby club said “Whilst Pershore Rugby's first ever junior tour to the Bournemouth area last April was a triumph in grassroots rugby and a happy development of age group team building at a small but growing local rugby club; it was perhaps a more significant victory or example of local companies sponsoring worthwhile local causes”.PRoGS was one of his sponsors. 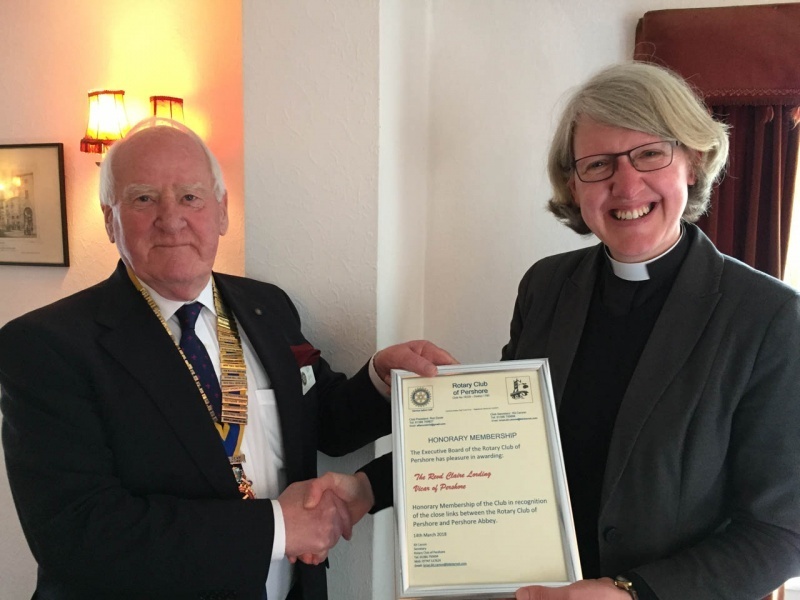 The Reverend Claire Lording was made an Honorary Member of the club and when she came to speak about the Food Bank a donation was made to help with this worthy programme which is much needed locally.